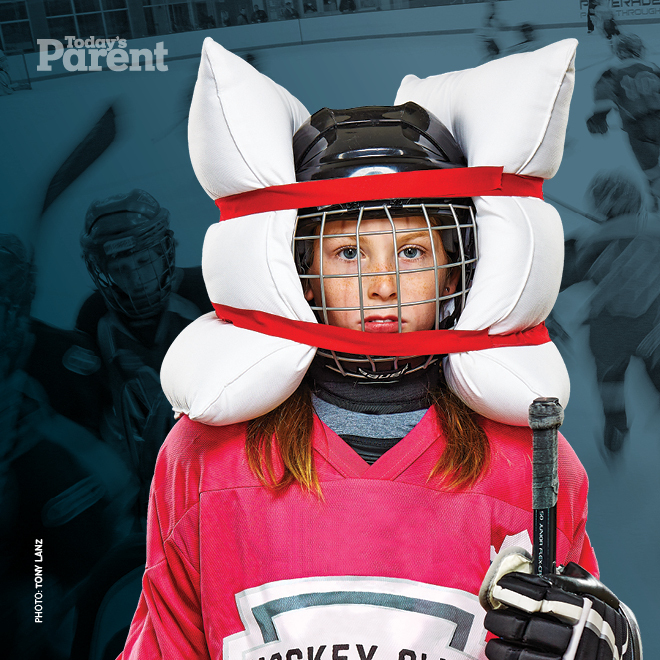 Here, Christina Master, MD, a pediatric sports medicine specialist at the Children’s Hospital of Philadelphia (CHOP) talks about vision issues following concussion in children. «In our clinical and research practice here at CHOP, we have found that a number of children have visual issues after a concussion, but they’re not typically visual acuity issues. This is something we’d like to get the message out about. The kids we see in our offices who have had a concussion often also have oculomotor issues (eye movements), whether they are related to problems with smooth pursuits (following an object), saccadic function (going from one object to another), or the vestibulo-ocular reflex function (vision and balance). We find that they are often very sensitive to motion and vestibular stimuli, especially from busy and active environments. We also find that they have issues in school in regard to looking back and forth between a notebook, smartboard, monitor, or tablet. We’d like you to keep an eye out for these oculomotor issues. Many of them also seem to be related to binocular visual function (how the eyes function together); in particular, we notice that a convergence insufficiency can be a problem. These kids have problems focusing on objects that are far, and then transitioning from far to near and near to far again. As you can imagine, much of schoolwork is very visually oriented, and these issues can present problems. What we would encourage everyone to remember when assessing a child who has had a concussion is not only to look at visual acuity but also to assess oculomotor function, including smooth pursuits, saccades, and convergence. In treating these kids as they gradually return to school, it is also often helpful to recommend accommodations to allow them to have extra time, printed notes, larger-font printed materials, and, in general, extra support from a visual standpoint while their functions recover over time. Of the more than 340,000 cases of traumatic brain injury clinically confirmed from 2000 to 2015, mild injury accounted for 82.5%, according to US Department of Defense statistics. However, traumatic brain injury is often only identified when moderate or severe head injuries have occurred, leaving mild cases undiagnosed, Dr Capó-Aponte and his colleagues explain in their scientific poster. “Since approximately 30 areas of the brain and seven of the 12 cranial nerves deal with vision, it is not unexpected that the patient with traumatic brain injury may manifest a host of visual problems, such as pupillary deficit, visual processing delays, and impaired oculomotor tracking and related oculomotor-based reading dysfunctions,” Dr Capó-Aponte pointed out. To see whether they could identify reliable biomarkers of mild traumatic brain injury that could be detected with an easily reproducible screening test, he and his colleagues looked for subtle visual changes that could be measured in the office or in the field. The visual system includes 25 neocortical areas that are predominantly or exclusively visual in function, plus an additional 7 areas that are regarded as visual-association areas on the basis of their extensive visual inputs. A total of 305 connections among these 32 visual and visual-association areas have been reported. This represents 31% of the possible number of pathways if each area were connected with all others. The actual degree of connectivity is likely to be closer to 40%. The great majority of pathways involve reciprocal connections (in both directions) between areas. Since approximately 60% of the nerve pathways are related to the processing of visual information, it is not surprising that severe visual problems occur in one or more concussions. 1. 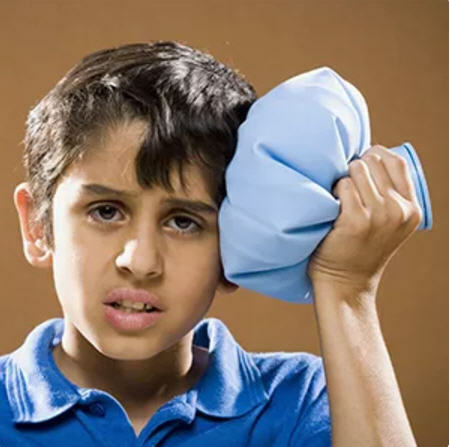 A concussion is a brain injury that can cause a variety of easy-to-miss symptoms. Doctors can’t “see” concussions using imaging. You don’t need to lose consciousness and a well-fitting helmet will not necessarily prevent one. 2. Symptoms can include headache, nausea, vomiting, light sensitivity, dizziness, confusion, slurred speech, poor balance, irritability, memory problems, blurred vision, sleepiness, sadness, anxiety or feeling in a fog. If you suspect a concussion, call the doctor. 3. If his head hurts, he’s off the ice, no questions asked. It doesn’t matter if he’s in the third period of a tied championship game. 4. Do not give Advil or Aspirin. Administered in large amounts, Advil and Aspirin can cause further bruising or internal bleeding. Tylenol is a safer bet; ask your doctor about proper dosages. 5. For the first 48 hours, be vigilant for signs of deterioration. Severe headache or persistent vomiting means you should go to the ER. 6. Concussion risk increases with each one. The brain is more likely to get reinjured if it hasn’t properly healed the first time. A child’s brain needs both physical and mental rest to heal (no jumping, no math problems). 7. Screens exacerbate a concussion headache. That means you have to limit the three things kids are most addicted to: TV, computer and phone. 8. If he says his head hurts, and the pain won’t go away, believe him—even if, ordinarily, your kid will do anything to skip school. The boredom of staying home and off screens will drive him—and you—so batty, there’s no way he’s faking. 9. His brain needs to rest in a dim room. This means no screens, pulling the curtains and keeping sunglasses handy. Contact teachers about making up homework in stages and catching up gradually. 10. Don’t send him back to school or sports until he’s symptom-free. Even with a mild concussion, this means no school or sports for at least a week—sometimes two.